In a destination where one resort guestroom is as lovely and well-appointed as the next, you might have to look beyond the four walls to make your decision. Here are some of our favorite rooms with a (spectacular) view! 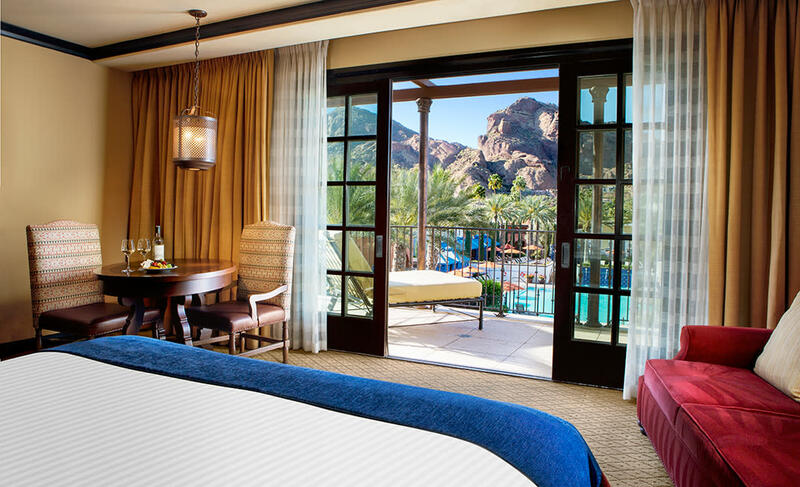 Imagine waking to a view of sunrise’s golden light playing across legendary Camelback Mountain – and not having to get out of bed to enjoy it. That’s only the first delight offered by the iconic Hotel Valley Ho’s Presidential Loft Suite. 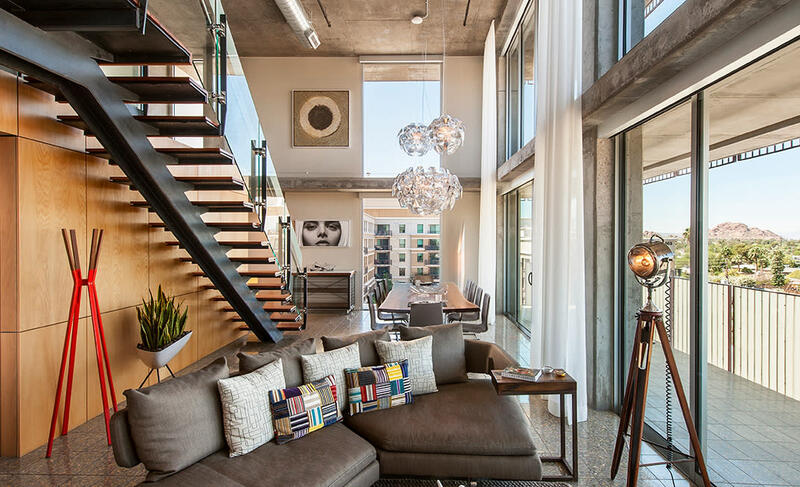 This spacious two-story perch also offers Camelback Mountain views from the living and dining rooms, as well as both balconies. 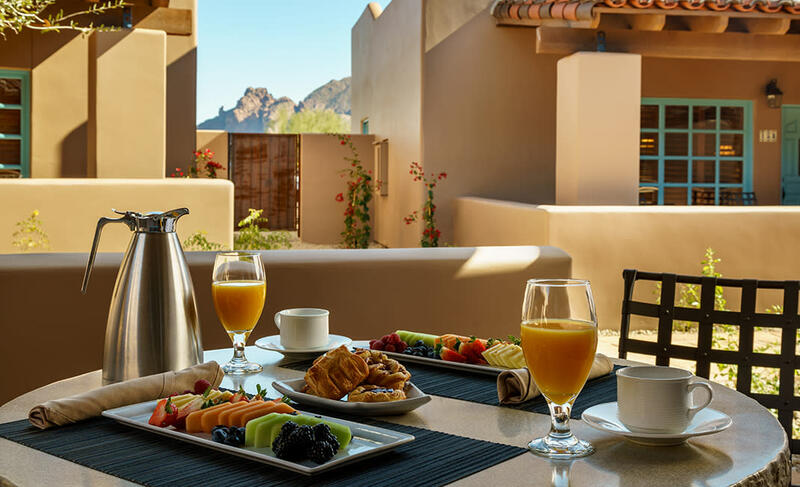 Named for the 12-million-year-old granite rock formations that dot the north Scottsdale landscape, the Boulders Resort & Spa is luxurious and scenic retreat. Check-in to Casita 265 in the North Casitas group and you’ll be treated to panoramic mountain views as well as vistas of the property’s namesake boulders, emerald fairways, and the duck pond’s grassy knolls where Gambel’s quail and desert cottontails play. 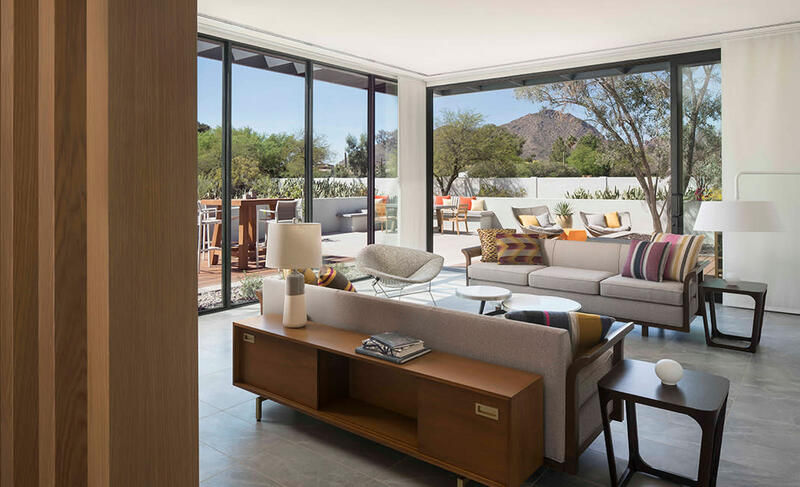 Tucked away on the lush grounds of Andaz Scottsdale, one of the area’s newest luxury resorts, you’ll find Albers House. This private, two-bedroom bungalow boasts sleek mid-century modern furnishings and floor-to-ceiling glass windows that frame magnificent views of verdant desert landscaping and breathtaking Camelback Mountain. The crown jewel of the W’s Mega Suite is its expansive balcony, which is ideal for sunbathing, sipping an evening cocktail and scoping out all the action on the WET Pool deck right below. 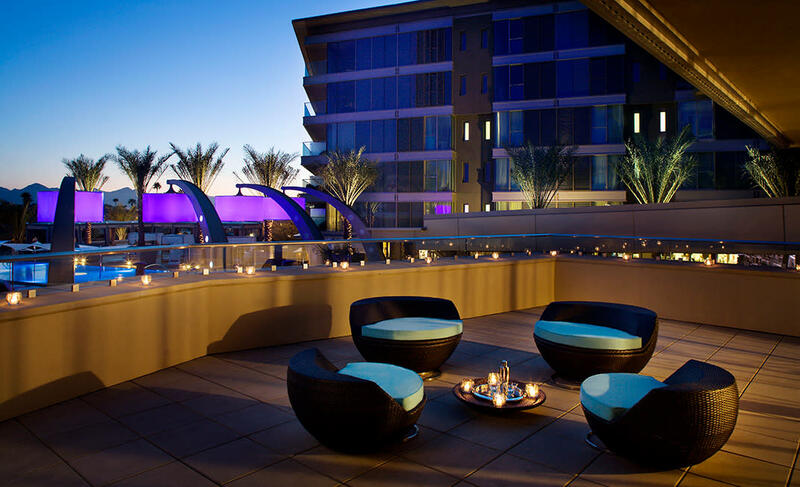 In addition to the see-and-be-seen atmosphere on the pool deck, you’ll enjoy quintessential views of Scottsdale’s signature McDowell mountains from the suite’s floor-to-ceiling windows. Before you turn out the lights and tuck into Room 122’s plush sheets and body-hugging bed, be sure to throw back the curtains – you’ll see why when morning’s light illuminates the head of Camelback Mountain and the tranquil swimming pool below, perfectly framed in your balcony’s glass doors. 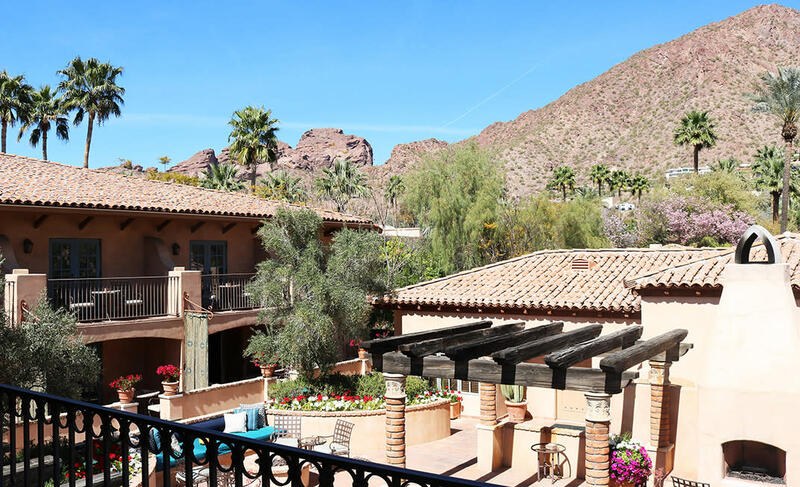 The layout of the Hermosa Inn was designed to offer guests of Casita 153 a singularly lovely view of the Praying Monk, one of the most notable rock formations on Camelback Mountain. Be sure to take your breakfast on the casita’s intimate patio and watch the morning light illuminate this serene natural formation. 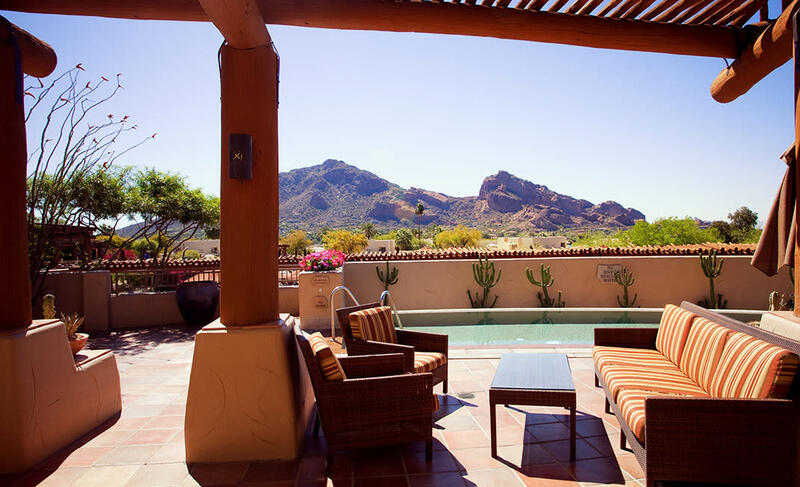 The patio of the Jackrabbit Suite at Camelback Inn offers one of the most picturesque views of Camelback Mountain, practically unobstructed from head to haunches. The lush desert landscaping and private pool add to the appeal of this private luxury suite. Stress never makes it past the threshold of the Spa Terrace Suite at Royal Palms, where views of Camelback Mountain and the resort’s Montevista Courtyard, with its colorful flowers and bubbling fountains, create a setting of absolute serenity.